I am a Chandigarh based architect, urbanist, author and photo-artist. 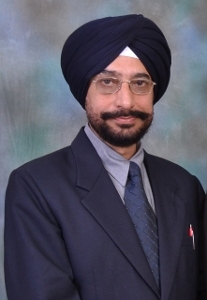 I graduated in architecture from Panjab University, Chandigarh in 1979 and was conferred with Doctorate in Architectural Science (D.A.S.) in 2000. I work in the Department of Architecture, Punjab and have 32 years of practical experience in designing and supervision of various types of buildings, complexes and large campuses. I am presently working on deputation as Senior Architect in the Punjab Mandi Board, Chandigarh. My completed works include an eclectic and impressive range of medical, educational, administrative, commercial,sports and residential buildings. My buildings are interesting and responsive to function, climate and materials. I am a staunch modernist and an ardent, yet not blind, admirer of Le Corbusier, Pierre Jeanneret and Louis Kahn. I am also a keen researcher, a prolific architectural writer, and a Fellow of United Writers’ Association of India. I have three books to my credit. My books, Modern Architecture in India: Post-Independence Perspective (1993), New Indian Homes: An Architectural Renaissance (1996) and Le Corbusier & Pierre Jeanneret: Footprints on the Sands of Indian Architecture are considered as landmarks in the history of contemporary architecture of India. Apart from this, I am a keen photo-artist especially in the field of architectural photography and have won many awards in this field. I take special interest in the overall development of profession of architecture and improvement of built-environment. I am an active member of many professional associations including the Indian Institute of Architects. My contribution to architecture has been largely recognized and my buildings/articles have been widely published in many architectural journals and books.